I have to admit, I’ve been getting a bit nostalgic lately now that the release of The Dark Knight Rises is within sight. Christopher Nolan has done so much for Batman that it is hard not to feel a tinge of sadness knowing that this is the end of the Nolan-Batman era. And, the more I thought about it, the more I started thinking about one character in particular I’ll have a hard time saying goodbye to: Alfred Pennyworth. Alfred has been to Bruce Wayne what Jiminy Cricket was to Pinocchio: a beacon of stability. We’ve seen many incarnations of Alfred in the comics and on screen (shout-out to the late, great Michael Gough), but Nolan, and more specifically Michael Caine, have given us an Alfred that we can truly admire and respect. Alfred has been Bruce’s primary guardian since the untimely death of his parents, and even after Bruce told him his idea of becoming Batman, Alfred stood by his side and helped guide and support him. When Wayne Manor burned to the ground in Batman Begins, it was Alfred who reminded Bruce that we fall “so that we can learn to pick ourselves up.” After Rachel Dawes was killed by the Joker in TDK, it was Alfred who reminded Bruce that Rachel died fighting for what Batman stood for and that he needed to continue his fight. The relationship between Alfred and Bruce in Nolan’s films is something to be admired, and it got me thinking as to what real-life relationships are like between butlers and families, and if a butler would actually go so far as to help someone fight crime the way Alfred has helped Bruce. In order to help me answer these questions, I spoke with Anthony Seddon-Holland of the British Butlers Guild. Take a look at his responses below. TSH: In Christopher Nolan’s Batman films, Alfred is a veteran of the SAS. Is it common for some butlers to come from a military background, and if so, what are the benefits of that when it comes to being a butler? ASH: It is, in Britain, fairly common. In previous century’s it was more common. I come from three generations of professional soldiers/butlers. Both my grandfather and father became butlers upon retirement form the army as did I. As for the benefits: I believe that ex-military are more flexible, especially where working hours are concerned. Hours for a butler can be very long in comparison with most jobs. Butlers are up before their employer and go to bed after them. In the case of many high profile businessmen who lead very busy lives, this means their butler has to be prepared not only to sacrifice a personal life but also “Sleep”! I worked for an Russia Oligarch (business magnate), and he slept no more than 6 hours and frequently 5 or less. So you do not need to have read applied math at M.I.T. to figure out how long my average working day was. Ex-military are by their nature used to stress, lack of sleep and also being flexible over their personal lives. In my opinion and the opinion of many employers this makes them very suitable to be butlers. 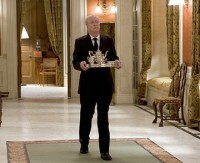 TSH: Would you say there are any key personality components that make someone a successful butler? If so, what are they? ASH: Personality components: Flexibility, Modesty & a Sense of Humour! TSH: How does a butler balance his personal life with his professional life? ASH: Personal life: This is hard to answer. Truth is, in many jobs a butler has very little personal life. As a child, I rarely saw my father. He was up and working before I got up and did not finish until I was in bed. In the modern world, few 21st century ladies are prepared to play second fiddle to their partner’s employer! And I DON’T blame them. In my mother and grandmothers’ day it was different. I am unmarried and have no children. I am not saying it is not possible; it is just difficult in some jobs to juggle commitment to the job with commitment to family/loved ones. Not all jobs require outrageous working hours, but it is not uncommon. 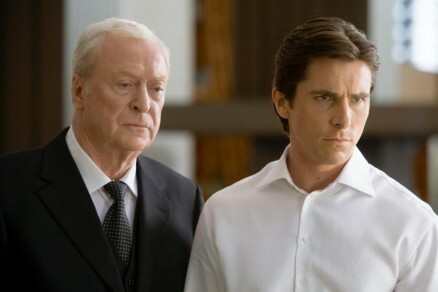 If you think of the Alfred character, he is always at hand for Bruce, 24 hours a day, 7 days a week, 365 days a week. The only place I have ever worked and had an effective social life was Las Vegas, for obvious reasons. TSH: What goes into butler training, and are there any specific skills someone needs to possess beforehand? ASH: British Butler Guilds’ attitude is that we try to teach people an attitude towards service and an attitude towards the delivery of service that is like nothing they are used to or they have experienced or practiced. We teach all the obvious skills needed such as food & beverage training (table service, wine service,) dinner party/party planning, household management, accounting, HR/staff management, valeting of clothes and shoes, packing & unpacking luggage, travel & itinerary planning, etiquette & protocol, security & cooking. TSH: Alfred has taken on the role of surrogate father to Bruce Wayne. Is it common for butler’s to develop a close relationship with the children in a family, and how do you view Alfred’s relationship with Bruce? ASH: It is feasible for a butler to form close relationships with the children of the household. The butler is often around more than the principle and children can easily look at the butler as a father-like figure. Especially if there is no Governess/Nanny. As for my view of Bruce Wayne’s relationship with Alfred? I am not a Batman expert, but I believe Alfred to all intents and purposes raised Bruce after the death of his parents? I think this would be an unlikely scenario in real life. Lawyers would tend not to make a servant the legal guardian of the heir to a vast fortune. But, as a fictional scenario, it is believable and one could see a very close bond developing between Bruce and Alfred, one that might not be typical of a principle and a servant. TSH: Finally, if you were a butler for Bruce Wayne, would you support him and help him in his life as Batman, or would you walk away? ASH: Supporting him as Batman? I believe that the Batman character operates on the edge of the law. Personally, I teach butlers not to get involved with anything illegal that their employer is involved with. In the 21st century, law enforcement can easily interpret “knowledge” of illegality as complicity or even conspiracy. I have resigned from a position because of the business activities of a principle. It is up to an individual butler to decide if they are comfortable in the knowledge of the activities of their employer. Personally, as Batman is attempting to right wrongs and fight crime, I would have no problem with Bruce Wayne’s activities as Batman. As what he does is just, I would support him even though I could be breaking the law. If, on the other hand, I was his butler and had a family, I believe I would not. Special thanks to Anthony Seddon-Holland and the British Butlers Guild for their help with this article.